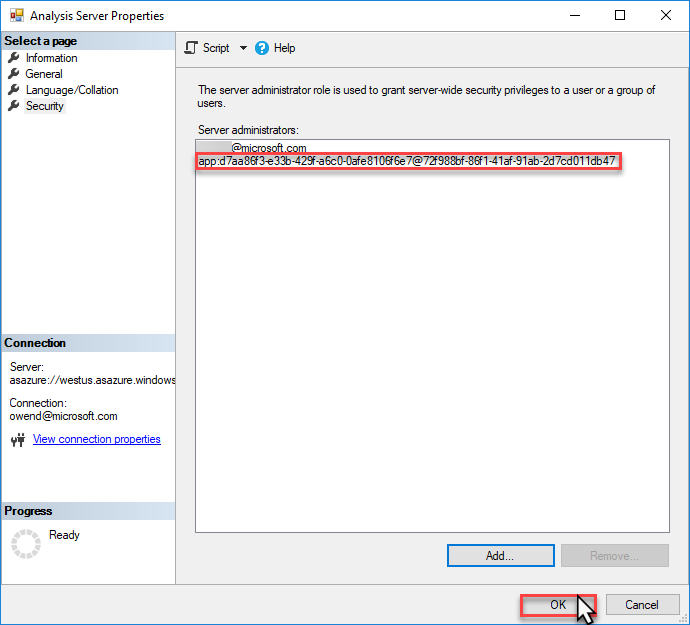 To automate unattended PowerShell tasks, a service principal must have server administrator privileges on the Analysis Services server being managed. This article describes how to add a service principal to the server administrators role on an Azure AS server. Before completing this task, you must have a service principal registered in Azure Active Directory. To complete this task, you must have server administrator permissions on the Azure AS server. 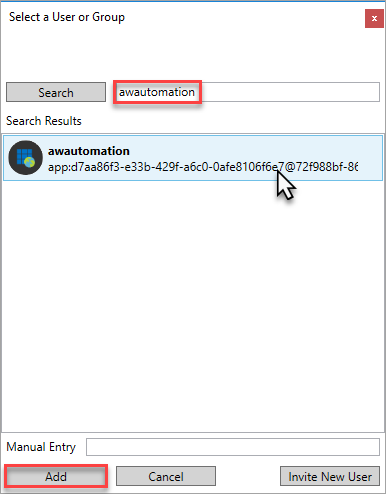 In SSMS, connect to your Azure AS server. In Server Properties > Security, click Add. In Select a User or Group, search for your registered app by name, select, and then click Add. Verify the service principal account ID, and then click OK.
For server operations using Azure PowerShell cmdlets, service principal running scheduler must also belong to the Owner role for the resource in Azure Role-Based Access Control (RBAC).